There comes a time, when a silver medal instead of signifying a silver lining, actually starts resembling a dark cloud. It happens when silver medals start outnumbering gold ones. Silver can no longer console, it only adds to the questions and grief. Yet, one cannot show the pain that needs to stay locked inside. No one knows that better than PV Sindhu. For the umpteenth time, she came all set to break a jinx and failed. 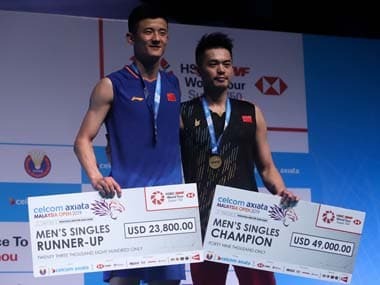 It has happened once again as she has lost the Asian Games women’s singles final to Chinese Taipei’s Tai Tzu Ying 13-21, 16-21. She was never in the match and both she and her coach, Pullela Gopichand, admitted it. No words were needed to articulate that. It was out in the open to see. Sindhu’s silver was the best an Indian badminton player had ever achieved at an Asian Games. But the colour of the medal was not the colour she or anyone else would have wanted. Since the 2016 Olympic Games, Sindhu has lost finals at Rio Olympics (2016), the final at World Championships in Glasgow (2017), the final at Dubai Super Series (2017), the final at Gold Coast Commonwealth Games (2018) and the final at World Championships in Nanjing (2018). Now, add the Asian Games final at Jakarta to that painful list. 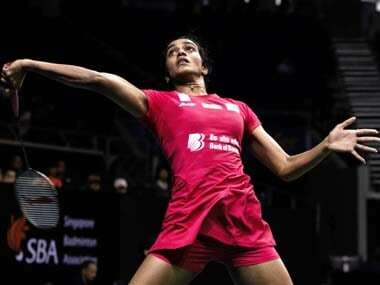 It would be best, if Sindhu does not see Wednesday’s papers and for that matter anything appearing in the media. She needs to erase this file, just as we do to a file that has gone rogue on a hard disk in the computer. At 23, she is young and has achieved unprecedented success. She has achieved numerous firsts in Indian badminton like the silver at the Asian Games in Jakarta. So, was her Olympic silver as was her first World Championships bronze or the first World Championship silver or the second silver. Then there was the Commonwealth Games final, where she lost to a lower ranked compatriot Saina Nehwal. Each of those performances was Gold Standard, but fetched her only silver and sometimes less. Too many silvers have raised too many questions — from nervousness to stage-fright to lack of mental strength. Each of these questions, in turn, raises nightmares and brings up that much-dreadful word “Choke”. Ivan Lendl and Ken Rosewall never won Wimbledon; Bjorn Borg never won the US Open. Colin Montgomerie and Lee Westwood never won a golf Major. Then there was Greg Norman, who in 1986 won 11 times, and held the 54-hole lead in each of the four Majors but won just one. In NBA basketball, it is possible to have a rewarding career without winning a NBA title, but to call it a day without the ‘winners’ ring adds an asterisk to the name. Charley Barkley and Karl Malone belong to that dubious list. Back in 1996 at the Atlanta Olympic Games, when Nike ran the campaign – ‘You don’t win silver, you lose gold’, there was criticism that the line contravened the spirit of the Olympics. It was withdrawn. There is another line, which I am not sure who said it first or why, but it brings out the harsh reality of life - “Second is the first in the long line of losers”. This, too, goes against the spirit of participation in sport. But few champions will dispute it. Till this afternoon, even World No 1 Tai Tzu Ying did not have a World Championships, Olympic or Asian Games gold, but she has the last one now. At the highest levels in sport, they all know that there is little to be chosen between any two competitors. Amicro-second; a centimeter, may be just a millimeter; or one crucial volley or a smash or a net cord. That’s all that separates winners from losers. The answers are not easy to find and the questions are too many. Seconds and silvers, too shine, but they can’t be the headline. History always consigns silvers to the footnotes. Sad, but true. Heartless, too.